1. Create two empty folders on your desktop. Call one “X9” and the other “2017” or your current version. 2. Copy only the custom Machine and Control Definitions from the “C:\Users\Public\Public Documents\shared Mcamx9\CNC_MACHINES” folder to the X9 folder you created on the desktop. (If you can’t see the file extensions, go to the end of this document for instructions on how to make them visible). 3. Copy just the custom post processors from the “C:\Users\Public\Public Documents\shared Mcamx9\Machine Type\Posts” folder to the X9 folder on the desktop. The post processors will have a .pst, .psb and/or .psm extension. Note: Machine Type could be mill, lathe, wire and/or router. 4. 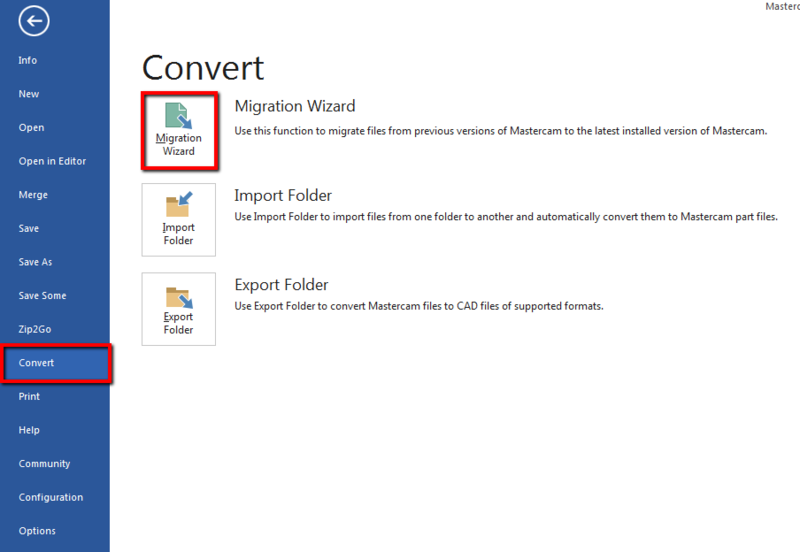 If you have a custom tool library, copy it to the X9 folder on the desktop from “C:\Users\Public\Public Documents\shared Mcamx9\Machine Type\Tools”. 5. 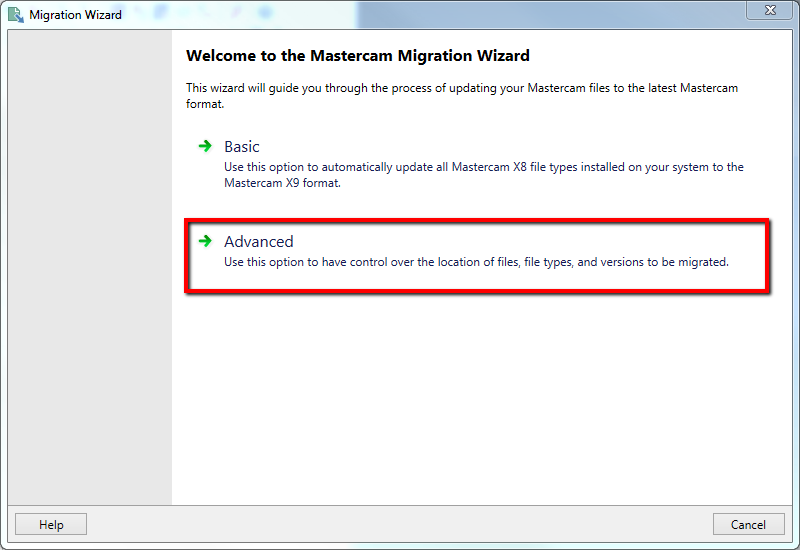 Open Mastercam 2017/2018, select the FILE tab, Convert, then Migration Wizard. 7. 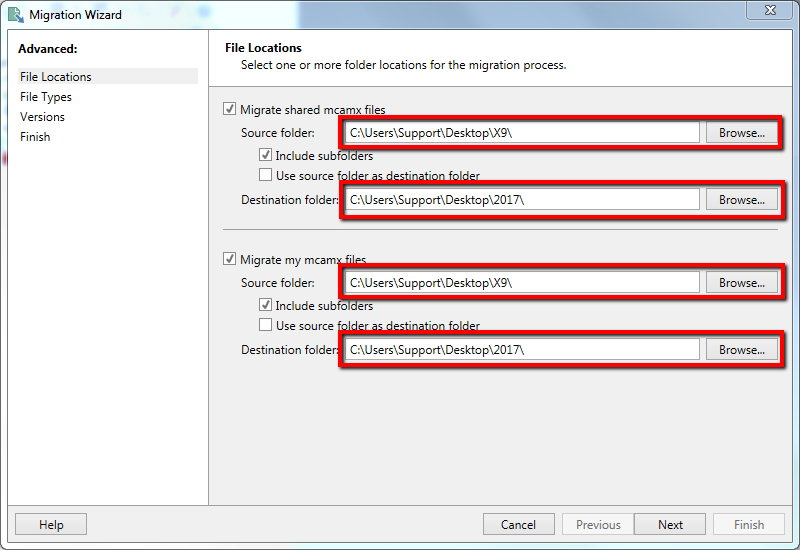 Set Source to the created X9 folder and Destination to the created 2017 or 2018 folder. 8. Next > Next > Next > Finish. 9. Place updated files in respective 2017 or up version folders. Note: Operation libraries and operation defaults can be updated as well if needed. However, do not update configuration file. The configuration file needs to be rebuilt within current version. Keep in mind for this that both versions can be opened at the same time. Issue: Unable to see file extensions. 1. Go to Windows Start menu. 3. Go to the View tab. 4. 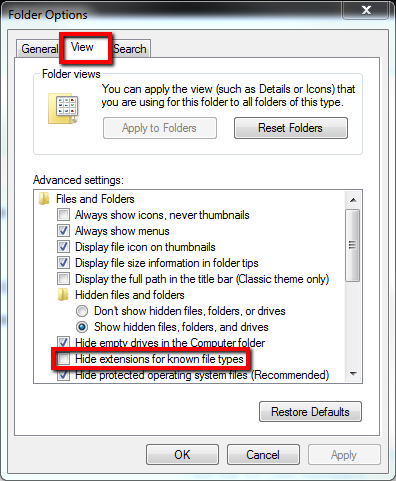 Uncheck Hide extensions for known file types. The Mastercam Training Solutions published by In-House Solutions are a must for any company or learning center looking to quickly become proficient with the software.